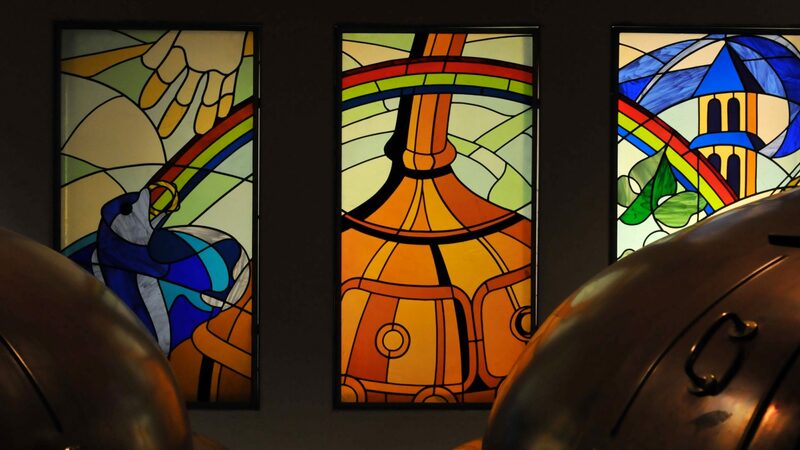 Gueuzerie Tilquin is blending some of the best lambic beers in Belgium. 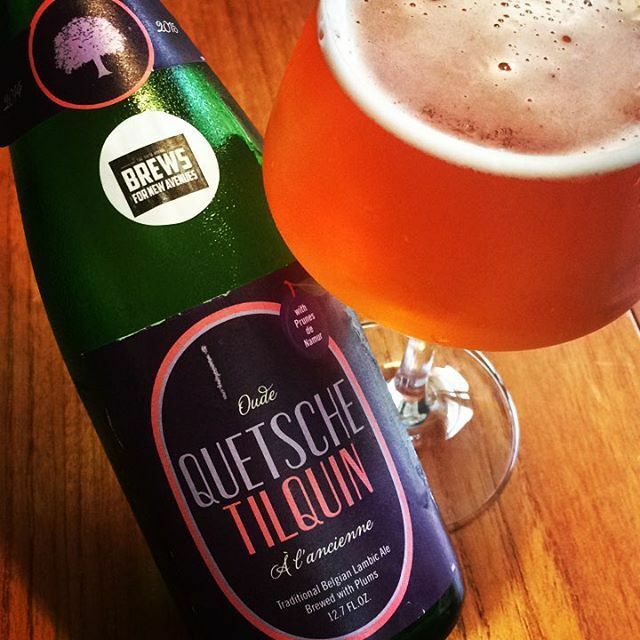 Besides making an excellent Gueuze, Pierre Tilquin is also making wonderful fruit lambics using fruits that his fellow lambic makers aren’t to give his beers a unique twist. Currently, he releases a plum lambic, called Quetsche, and a blackberry lambic called Mure. He’s also experimenting with other fruits, including a Pinot Noir which will be his next broader market fruit lambic release. Their Quetsche comes in two different varieties based on the plums Tilquin uses. The majority of it is made with plums from France and are of the veritable d’Alsace type. When they’re available, he’ll buy Belgian grown plums of the “Prunes de Namur” variety. These bottles are labeled as such to distinguish them from the standard Quetsche. Both beers are a blend of beers made from worts obtained from Boon, Girardin, Lindemans, & Cantillon. I got this beer in one of the silent auctions at Brews for New Avenues along with some other tasty beers that came in this lot. New Avenues holds an annual beer festival with silent and live auctions to raise funds for their non-profit. Their mission is to provide services and aid to at-risk, homeless, and foster youths. This year, Pierre Tilquin traveled all the way from Belgium to attend several New Avenues events, including the festival. The live auction of the lot of super rare beers he donated brought in $5,600. You can use the button below to visit their site and make a donation. Appearance: Pinkish/coppery, beige head, poor retention. Taste: Tart cherries, sour plums, spicy, hint of white pepper in the finish. Overall Impression: Very tart leaning towards sour, Tilquin Quetsche Prunes de Namur has a bracing and bright acidity that is both fruity and refreshing. It’s tempered by a nice underlying earthiness. It’s not a big fruit bomb. The plums are well integrated into the lambic for a very integrated beer. I was extremely happy to get a chance to try the Namur variation! Availability: Extremely limited, mostly released in Belgium. Imported by 12% Imports if enough is available for exports.